I’m John. I’m a 42 year old guy living in Connecticut. 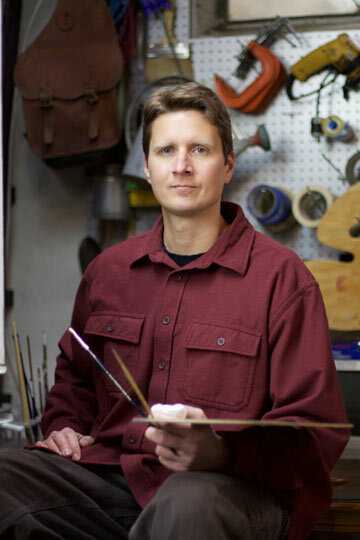 I make my living as a drawing and painting instructor, and selling my artwork. I have a crazy dog named Henry and an incredibly supportive wife who allows me to spend long hours making things. Did I mention long hours? Yeah…I stay busy! It was magic then and still is. 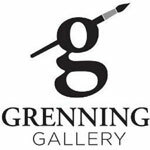 Check out the Grenning Gallery’s collection of my paintings! I had so many questions and very few satisfying answers. I had no artistic mentors growing up and felt like I learned everything the hard way and on my own. Most of my art instructors were good at their craft but, not so good at explaining precisely how it is what they did and why. This frustrated me. I made it my life’s mission to get answers. My search for drawing and painting answers has so far led me through a super interesting journey. That journey which continues today has led to a multitude of art materials and techniques and even into the fields of physics, mathematics, and computer science. I’ll test any art material I can get my hands on and have experimented with countless techniques. I make videos and post blog articles sharing my experiences with you. I don’t want you to have to make all the blunders I have made. A little bit of knowledge goes a long way. While there is no magic formula for overnight artistic success I know that having the correct insight can make a huge difference. Why take 100 frustrating hours to arrive at the same result that you can wisely arrive at in 10 hours? I tell my own art students all the time, “Work smarter, not harder” and this has really been the goal of not only my own artistic process, but my life in general.